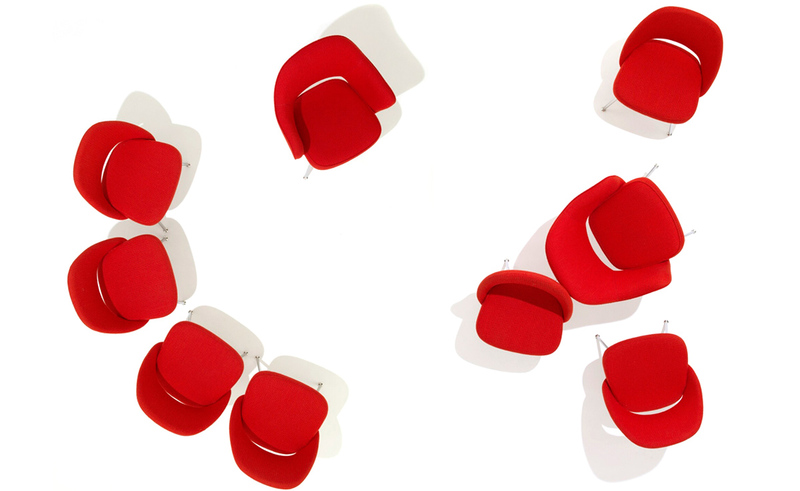 The Saarinen Executive Armless Lounge Chair. 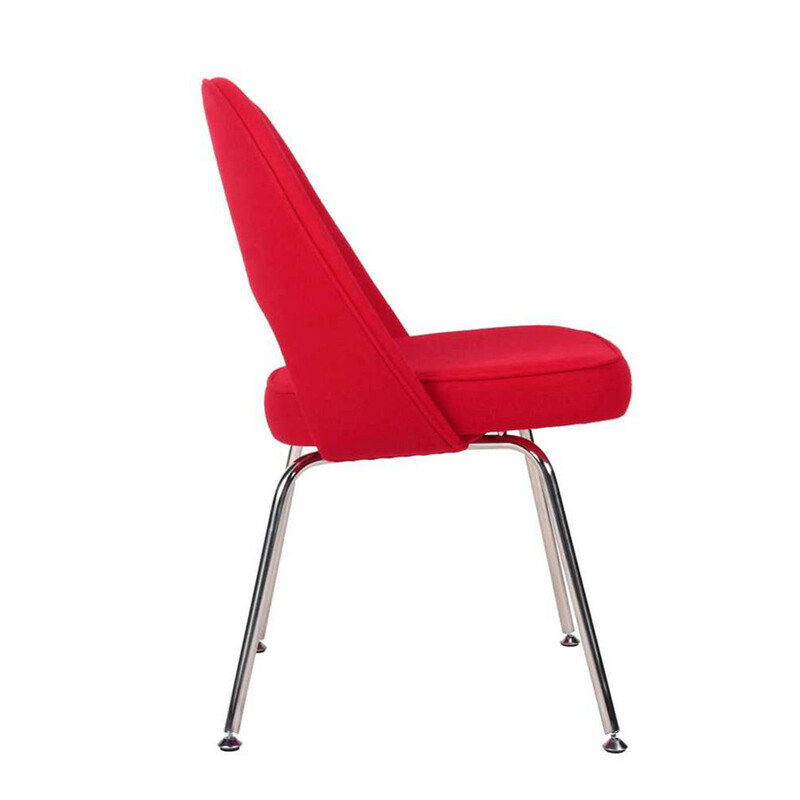 A faithful reproduction of the 1948 modern classic Fabric Lounge Chair. Whether being used as a sitting, accent or Dining chair, the Saarinen model is a beautiful and practical piece to compliment your modernist collection. 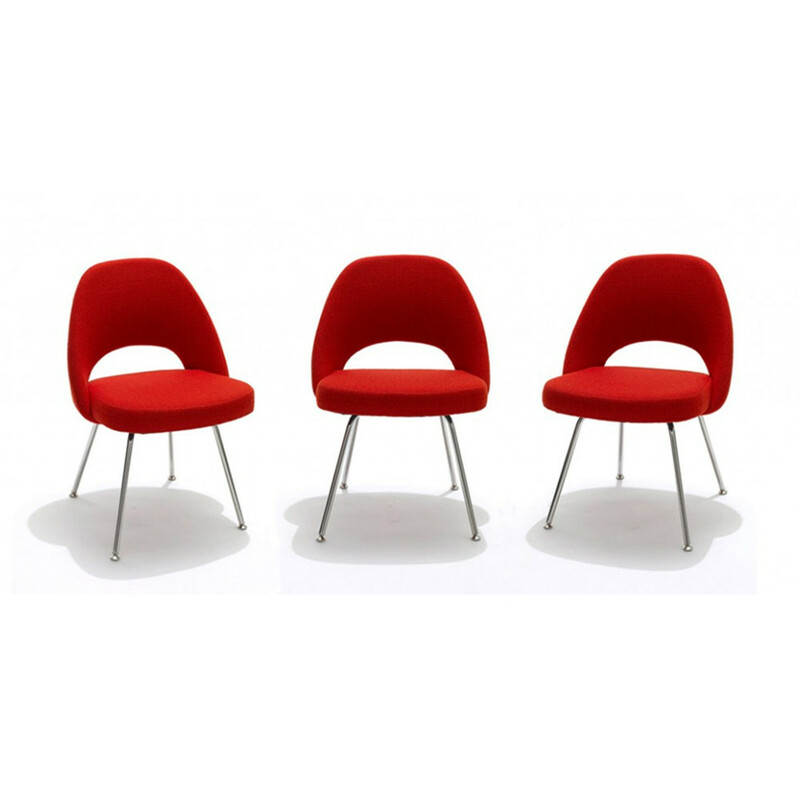 The original design was created in 1948 as the second chair (1st being womb) in Saarinen`s seating collection. You may notice that the armchair shares the depressed cone shape design of the womb chair. The armchair was originally built for use at the General Motors Technical School. 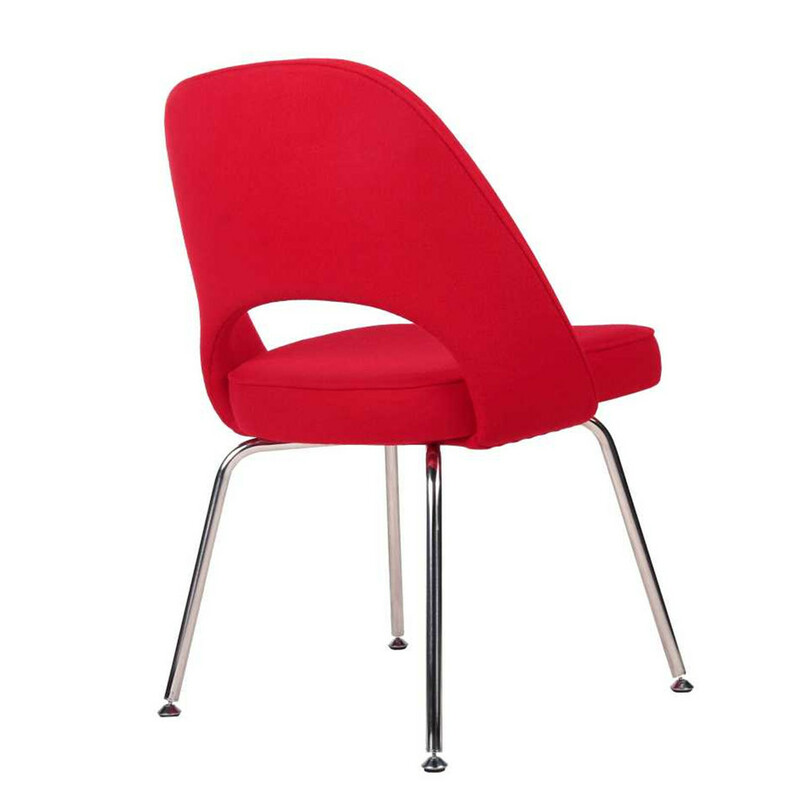 Its elegant shape made it popular for use in residential spaces. Today, it is an icon representing the simple, practical design theory present in many mid-century modern pieces. The Yadea reproduction of the armchair is ture to the original that features a bent turbular stainless steen leg connected to an internal molded fiberglass shell. 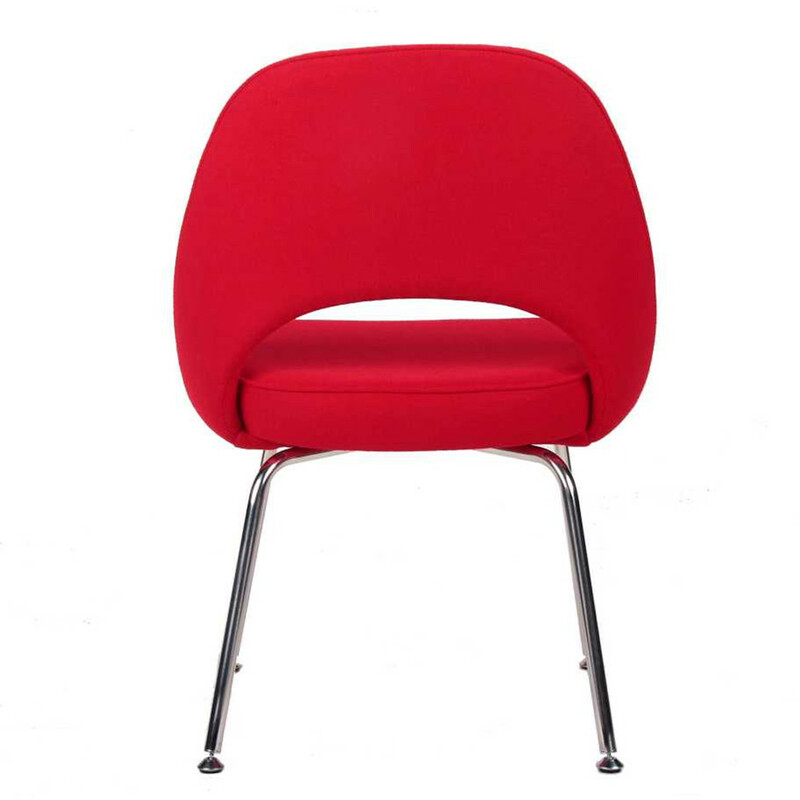 The chair is wrapped with multi-density foam and upholstered in a premium, durable wool fabric. Whether being used as a sitting, accent or dining chair, the Saarinen model is a beautiful and practical piece to compliment your modernist collection. Crafted and perfected over the years with a reinforced carbon fiber frame and densely soft foam cushioning, this is the sleeker version featuring polished stainless steel legs and flat-base chrome floor glides. 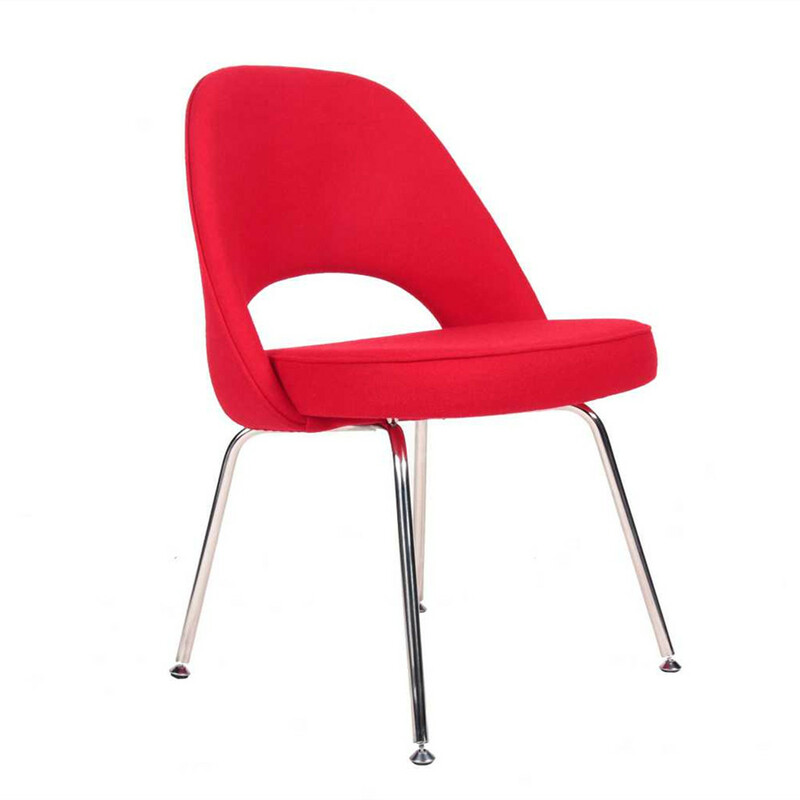 The Executive Modern Lounge Chair is also available as an armchair or Bar Chair.